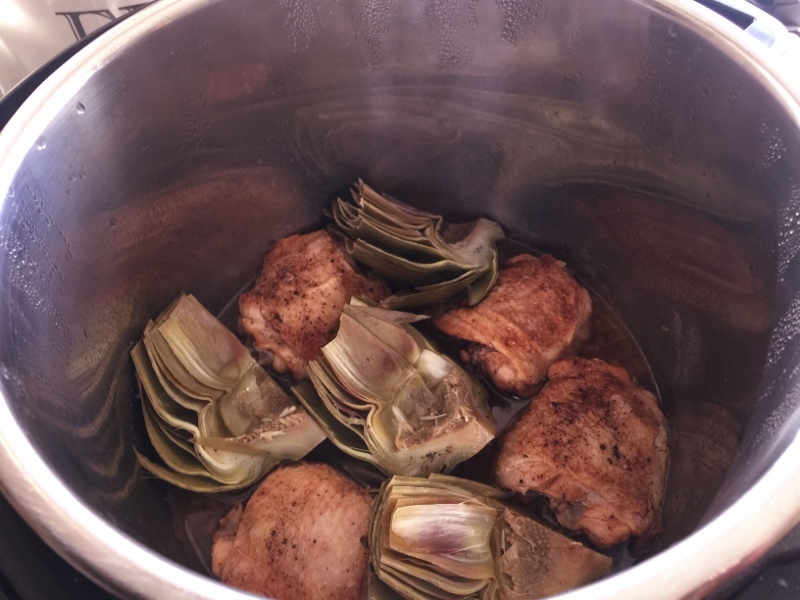 Instant Pot Vinegar Chicken & Artichokes - Recipe! - Live. Love. Laugh. Food. 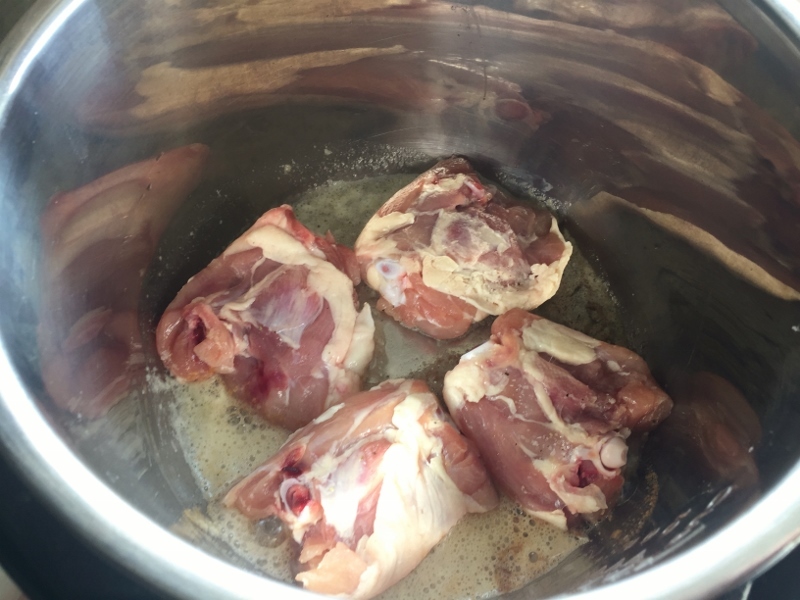 Cooking chicken in an Instant Pot is such a snap because you can sear it first, then steam. Bone-in chicken, which I prefer, turns out fork tender without becoming dry and absorbs the flavors of the other ingredients. 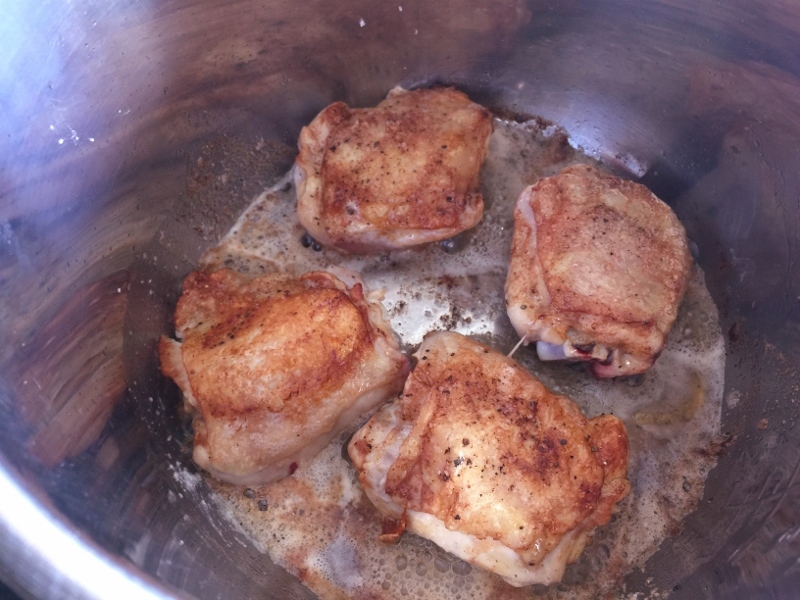 Vinegar Chicken is a long lost recipe that you don’t see all the time, and I am here to bring it back into fashion with a little updated taste because it’s that good. Red Wine Vinegar adds a mild tang and tenderizes the protein into a savory sensation. 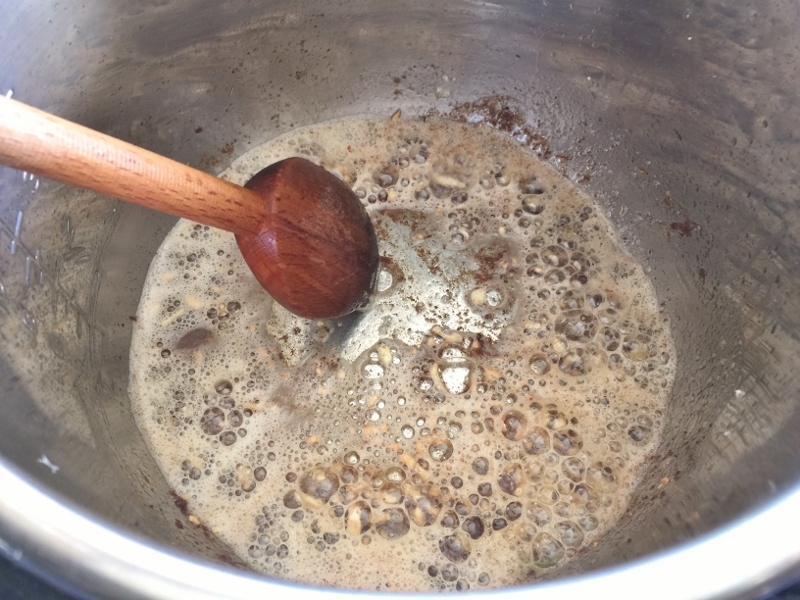 The vinegar becomes a creamy sauce when a pat of butter is added at the finish. 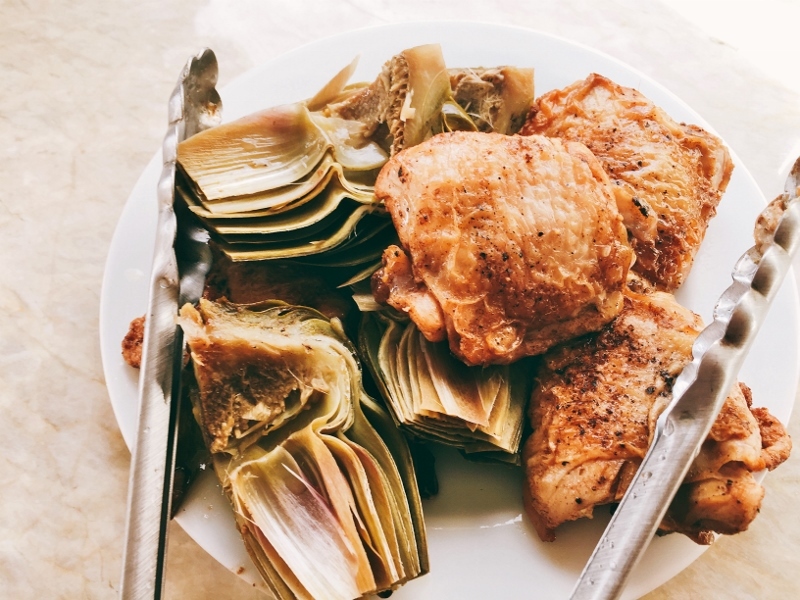 Adding vegetables with chicken is always good idea – just make sure the cooking times are similar, like in this recipe. 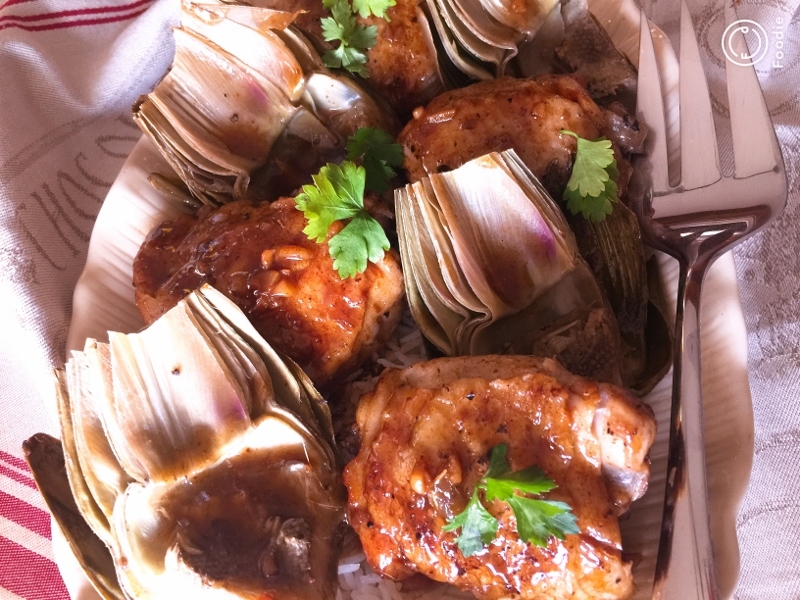 Fresh artichokes are a breeze to make and soften gently in the steamy environment. The combination of poultry, and the mild vegetable in the elegant sauce makes this meal spectacular. It’s so nice to come home after a long day and put together a meal that’s easy, satisfying and divine. I think this dinner is superb with a glass of dry Chardonnay or a California Pinot Noir. 1. Press Saute on Instant Pot and add 1/2 tablespoon butter. Sear chicken on both sides, about 8 minutes. Remove chicken and set on a plate. 2. Add 1/2 tablespoon butter to pot and add garlic, saute for 1 minute. 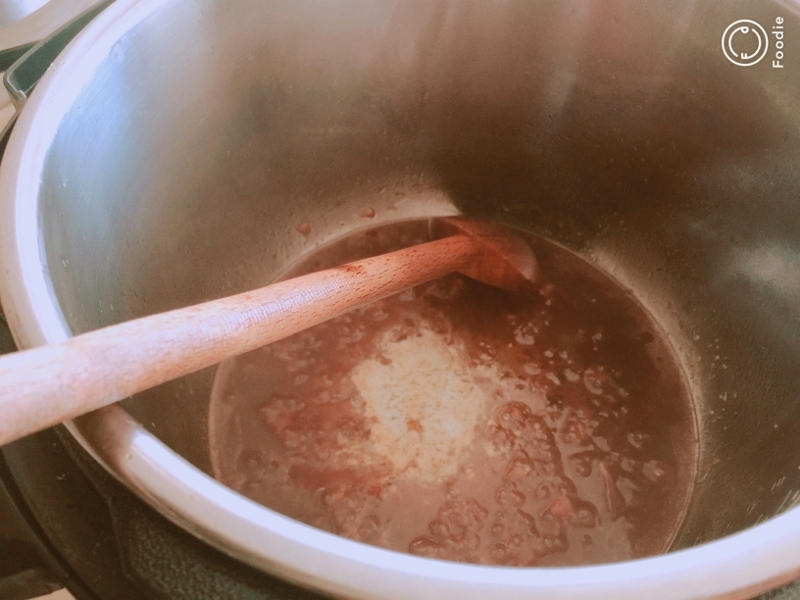 Pour in vinegar and honey and stir. Cook for 2 minutes. 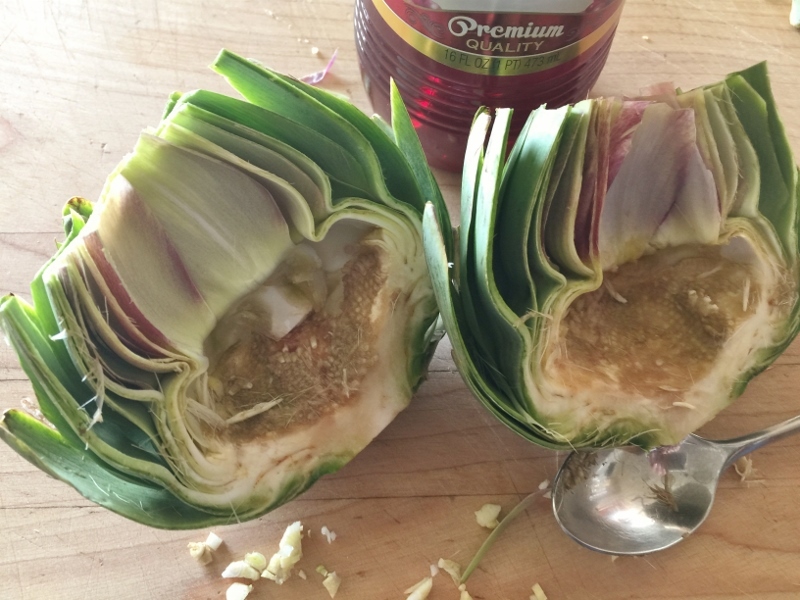 Slice artichoke in half and remove choke (fuzzy part). Slice each half in half and add to pot, along with seared chicken. Hit Cancel on Instant Pot. 3. Place lid on Instant Pot and put nozzle in sealing position. Press Manual or Poultry and set the time for 20 minutes. 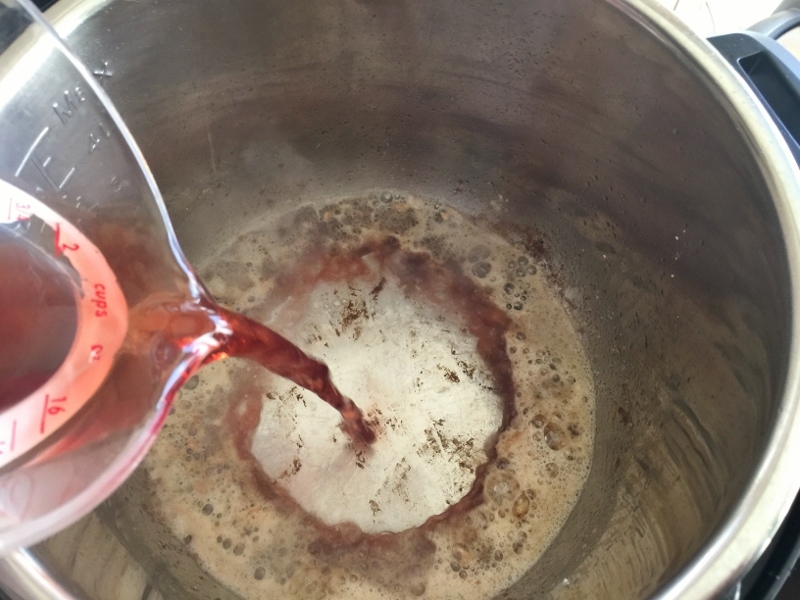 Release the pressure naturally (takes about 12 minutes). 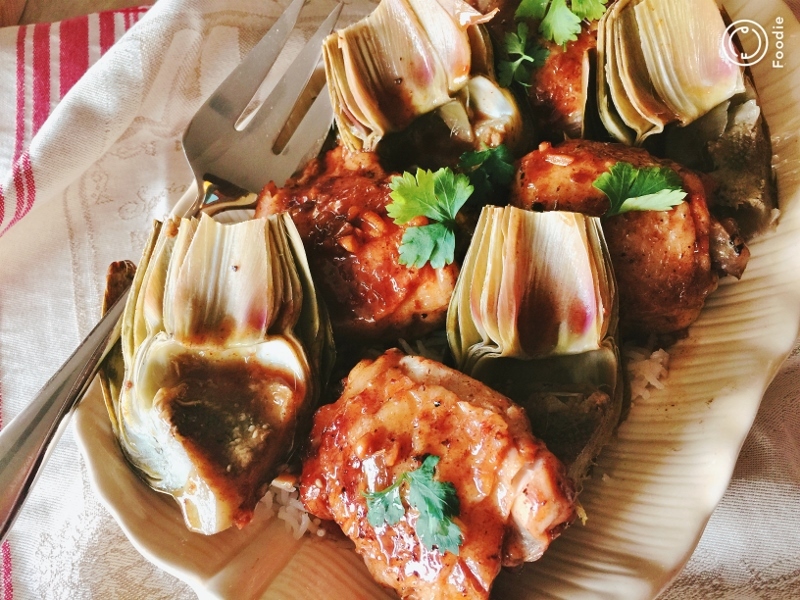 Remove chicken and artichokes and set on a serving platter. Hit Cancel on Instant Pot and then, Saute. 4. Let sauce reduce for 2 minutes, then add remaining butter, salt & pepper, stir. 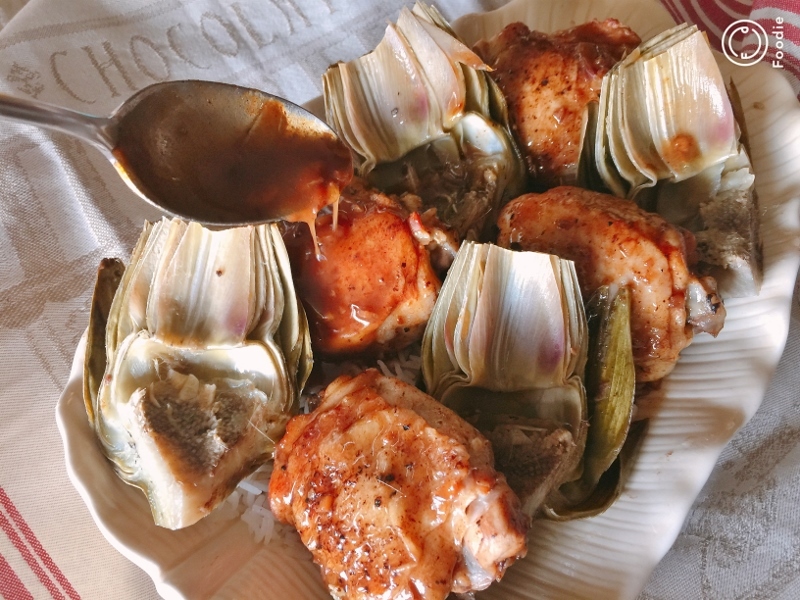 Spoon sauce over chicken and artichokes, Enjoy! 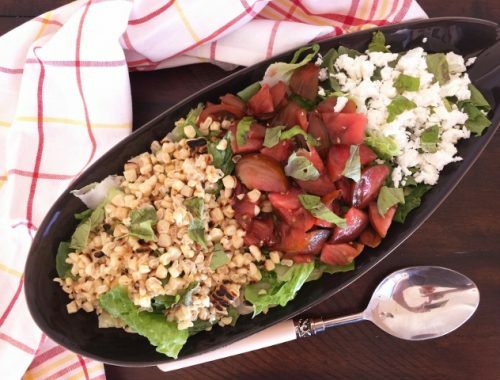 Tomato & Corn Salad with Basil Vinaigrette – Recipe! 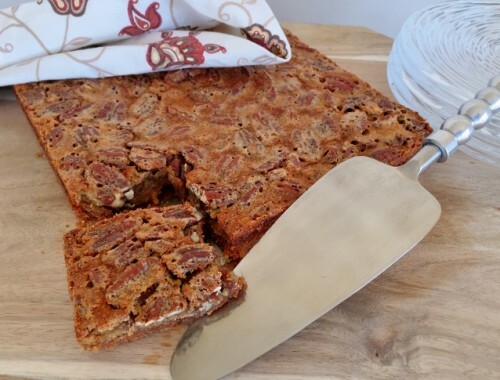 Pecan Pie Bars with Graham Cracker Crust – Recipe! 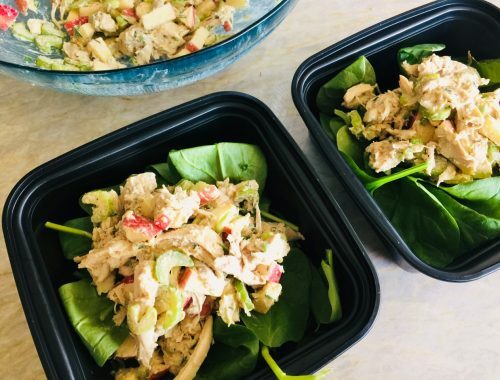 Fall Chicken Salad – Recipe!